A space station at the edge of the galaxy just found a planet that's slipping off the edge entirely. After losing control of his magic, wizard Cedric The Brown blew up his boss and nearly crashed a space station into a planet. 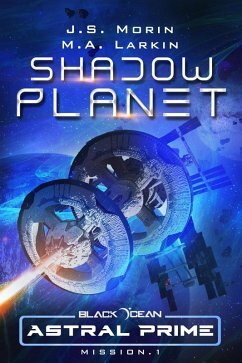 Determined to make amends, he pledges to help the mining station negotiate with the nearby planet's mysterious magical inhabitants. 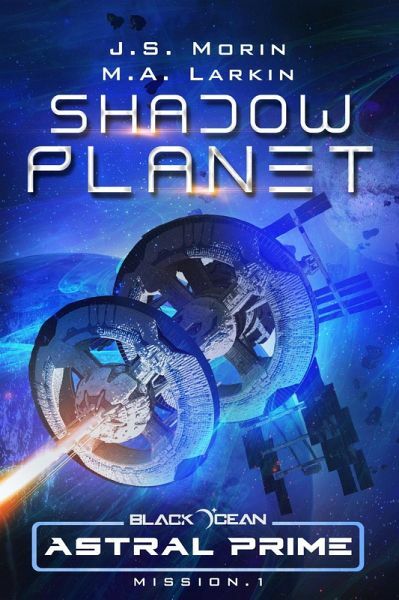 Shadow Planet is the first book in the Black Ocean: Astral Prime series. It hearkens back to location-based space sci-fi classics like Babylon 5 and Star Trek: Deep Space Nine. Astral Prime builds on the rich Black Ocean universe, introducing a colorful cast of characters for new and returning readers alike. Come along for the ride as a minor outpost in the middle of nowhere becomes a key point of interstellar conflict.